Begins his music studies at Alqueria de la Comtessa Musical Association in the Valencia province (Spain), focusing in symphonic percussion. Later on, he finishes his mid level studies at the Josep Climent Conservatory of the Oliva municipality. During this period he plays as a percussionist in several bands, and also as a teacher of symphonic percussion in different music schools. In 2004 he moves to Barcelona in order to study Cuban percussion with renowned musician Miguel “Angá” Díaz, and enters subsequently at the Superior Conservatory of Liceo in the pursue of a bachelors degree in modern percussion, where he earns his degree in 2009 alternating a year in Cuba at the Instituto Superior de Artes de la Habana in the course of 2007-2008. In Cuba he complemented his studies with professors Yaroldy Abreu Robles and Dreiser Durruthy Bombalé. 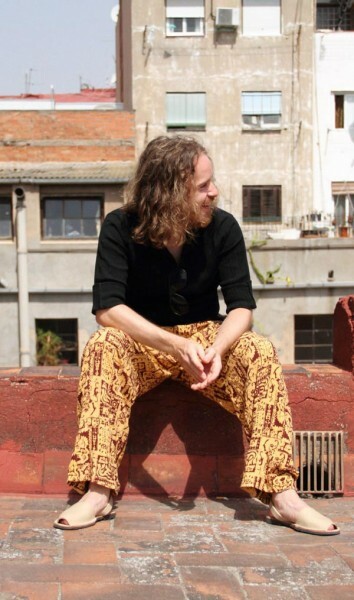 In the later years his interest in flamenco music has made him study with César Morena Arrébola. With such renowned artist he has played locally and abroad also having the opportunity to record. His work as a composer can be heard in recent recordings such as Peyoti for President’s last EP and the last work of Tazzuff, among others. Recently he decided to create his own independent record label Sowing Sounds.